If you are searching for an aggressive and competent East Lake dui lawyer look no further than the law firm of Finebloom, Haenel & Higgins. Our dui defense team is ready and able to defend you against your East Lake dui arrest. There are several dui attorneys East Lake residents have to choose from. At Finebloom, Haenel and Higgins, we not only understand the law, but we understand the personal frustration that is felt when an individual is arrested and charged with dui. At Finebloom, Haenel & Higgins our local dui lawyers in East Lake provide personal as well as legal support as we walk you through the dui process. When you are arrested for dui, you face two types of prosecution. There is the criminal side that all citizens are familiar with. This is the system involving State Attorneys, officers, courtrooms and judges. But there is also an administrative side that is not as well known. It is the administrative side that will automatically suspend your driving privilege 10 days after your arrest if no action is taken. To protect your rights in both systems you need an experiences East Lake dui attorney to represent you! When choosing a dui lawyer East Lake residents should make sure the lawyer has experience in both the administrative and criminal system. For a first time dui, the administrative suspension of your license lasts six months. If you were arrested before for dui, then the suspension is one year. If you refuse to blow into the Intoxilyzer the administrative suspension of your license is one year for a first refusal. If you have refused two or more times the suspension is 18 months! For a first time conviction you can also face up to six months in the county jail. If your blow was over a .15 that period is increased to nine months! If you are convicted more than once the penalties only get more severe. But an arrest does not necessarily mean conviction! When you speak with a dui attorney in East Lake who is familiar with the area, the officers and the law, that dui attorney can discuss the defenses available to you. The dui attorney will create an individualized plan specific to the details of your arrest. It may be that there was no basis to stop you and start an investigation. Maybe your Intoxilyzer result is inaccurate. It could also be that you have a weak case and the best option is mitigating your sentence. Whatever your situation is, the experienced dui defense team of Finebloom, Haenel & Higgins can help you achieve the best result possible. 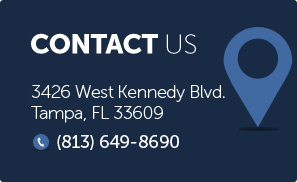 So if you are an East Lake resident looking for a dui attorney, call us now at 813-200-4412. We have attorneys standing by 24/7 to consult with you. Let us help you fight your dui case!